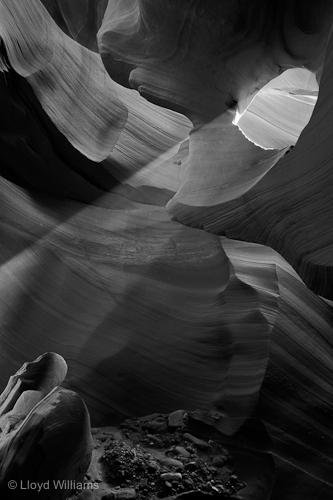 Lloyd Williams is a Colorado-based fine art photographer who specializes in nature photography and abstract images. His work has appeared in the book American Vision and magazines such as Outdoor and Nature Photography, Nature Photographer and Images of Boulder County, as well as in corporate brochures and reports. Lloyd's tightly-composed images feature strong graphic elements and the creative use of natural light. He began photographing nature in the early 1970s using traditional film and darkroom techniques in both black-and-white and color. Today, he uses state-of-the-art digital equipment and post-processing techniques to capture his vision and share it in a variety of media including fine art prints and the world wide web. Lloyd is also a popular workshop leader who has led workshops throughout the Rocky Mountains and the Southwest.